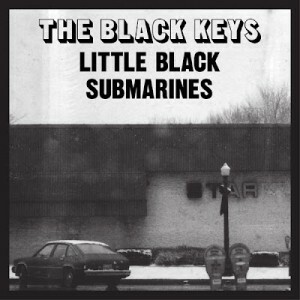 Video, Audio, Lyrics, full story – have fun: “Little Black Submarines” originated as a demo recorded by guitarist Dan Auerbach and producer Brian Burton that saw several alterations. The band recorded it “four or five different ways” before playing it in a sparse, acoustic arrangement. The group had a louder version of the song, but believing that it “wasn’t completely working”, they spliced it after the acoustic version to create a mix with two contrasting sections. According to drummer Patrick Carney, the harder-rocking second half was the first time that the band played that arrangement. He said, “That whole ending is the first take we played, just figuring out what we’re doing and riffing on that idea. That’s why that part of the album feels the loosest. It’s how Dan and I play. The Black Keys allowed a small number of fans into the venue for filming of the one song before deciding to play an entire show. They originally had a storyline in mind for the video but ultimately abandoned the idea in favor of a conventional performance video. Auerbach said, „We all just sort of kind of mutually agreed that it should probably just be the performance and not any of the other extra stuff. Luckily we had live footage so we turned it into a live video. We just sort of said ‚You know, it was fun kind of performing here at a small club with the fans. Why don’t we just have it be that? '“ The video premiered on September 4, 2012. An autostereoscopic version of the video was featured on Nintendo Video for the 3DS on the premiere date. 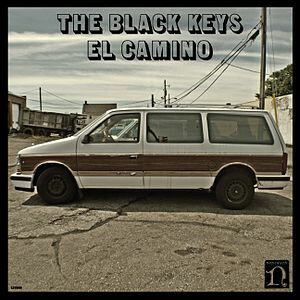 El Camino is the seventh studio album by American rock duo the Black Keys. It was co-produced by Danger Mouse and the group, and was released on Nonesuch Records on December 6, 2011. The record was the follow-up to the band’s commercial breakthrough, Brothers (2010), and was their third collaboration with Danger Mouse. El Camino draws from popular genres of the 1950s–1970s, such as rock and roll, glam rock, rockabilly, surf rock and soul. The band cited several retro acts as musical influences, including The Clash, The Cramps, T. Rex, Ramones, The Beatles, Sweet, The Cars and Johnny Burnette. Danger Mouse contributed as a co-writer on each of the 11 songs alongside guitarist Dan Auerbach and drummer Patrick Carney. The album was recorded from March to May 2011 in Nashville, Tennessee, at Easy Eye Sound Studio, which Auerbach opened the year prior.